Crownsville is a unique community, a quiet region located just northwest of Maryland’s state capital, Annapolis, and southeast of the outer ring of suburbs surrounding Baltimore. There are a few residential roads that meander through the thick forests of the wild Maryland coastline, roads used by a few long-distance commuters, and a big part of the appeal of Crownsville is the freedom to be that much closer to the wilderness. However, being distant from civilization comes with its own difficulties. By living so far away from the utility centers in Annapolis, and by having so few residents, the people of Crownsville may often go for longer stretches without basics like electricity or waste disposal than those who live closer to the city. To live in Crownsville or anyplace like it, it pays to invest in some self-reliance. That’s why it’s particularly important to consider basement waterproofing in Crownsville. Bad things can happen in crowded neighborhoods just the same as in quiet, rural neighborhoods, but with better access to urban facilities, the first group gets a better margin of error. In other words, things like sewage, storm drains, and electricity typically get more safeguards and more regular maintenance. This makes it easier for them to withstand a disaster. By contrast, a house out in Crownsville could be at risk of flooding or groundwater seepage, especially those located along the Severn River. 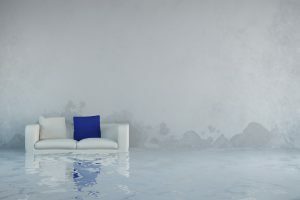 Making sure your basement waterproofing is up to date can really pay for itself by making sure you avoid any water damage or mold outbreaks. There are several different construction techniques that go into keeping a basement dry. For instance, construction workers will put a layer of packed gravel underneath the foundation slab along with a drainage pipe so that water can flow out from under the building. They’ll also surround the cement basement walls with more gravel and sand so that the rainwater that flows out of the topsoil lair will continue down without collecting and putting pressure on the walls. However, sometimes the underground water table is too high for this passive drainage system to work, and so they’ll add a sump pump, a pump set in a pit beneath the foundation that collects groundwater and actively pumps it out of the area. In many cases, underground seepage and surface runoff getting into your basement is a seasonal thing. It can be a problem for a month or two, but it’s nothing you can’t solve with a little patience and some water-resistant paint. Right? Unfortunately, a basement with a leak isn’t like a person with a cold. You can’t just ignore it, get some rest, and expect the problem to disappear after a week. Cracks and seepage only get worse over time, particularly thanks to the way water expands and contracts during winter. As such, the longer you take to address the leak, the more expensive it’s going to get. That’s why we always recommend being as preemptive as possible when it comes to basement waterproofing in Crownsville and everywhere else. At AA Action Waterproofing, we have three decades of experience with basement waterproofing in Crownsville, mold remediation in Annapolis, and foundation repair in Baltimore, not to mention providing all of the above services throughout Maryland and our neighboring states. We offer consultations for new construction, inspections for old properties, and all kinds of renovation and repair services for existing foundations, crawlspaces, and basements. We can also guarantee that we provide quality work. We have an outstanding A+ record with the Better Business Bureau, and in all the years we’ve been in business, we’ve never seen a basement we couldn’t handle. Even if it means replacing the foundation slab itself, we can do it. We’ll also let you know what to expect before you have to pay for anything. Our initial estimate is always free and in writing, and it has no obligations attached, so you can ask for a second opinion if you prefer. You could even do the work yourself – at least assuming you think you can manage the job on your own. Either way, we look forward to making sure your basement waterproofing in Crownsville is as successful as possible.